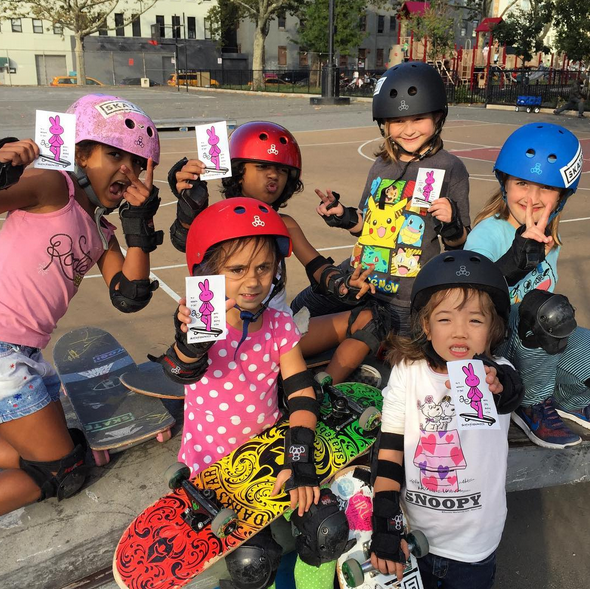 A skatingfashionista is someone who skates for fun and always encourages others to have fun skateboarding. She’s on a mission to get more girls skateboarding by showing them girls having fun skating! A skatingfashionista believes clothes should be both fashionable & function. There’s no uniform in skateboarding so she wears what she loves & what works for her. A skatingfashionista might not do the hardest tricks but she always challenges herself to do her best. A skatingfashionista realizes everyone starts as a beginner and that skateboarding is a journey not a destination. Enjoy the process of learning to skateboard and learning new tricks. Falling is not failing, it is the opportunity to learn from mistakes. A skatingfashionista realizes skateboarding is exercise for the body and mind. It’s a core and cardio workout plus it teaches skills like concentration, determination, and persistence. A skatingfashionista shares her tips both for skating, fashion, and life. She believes the greatest gift you can give a person is your time. 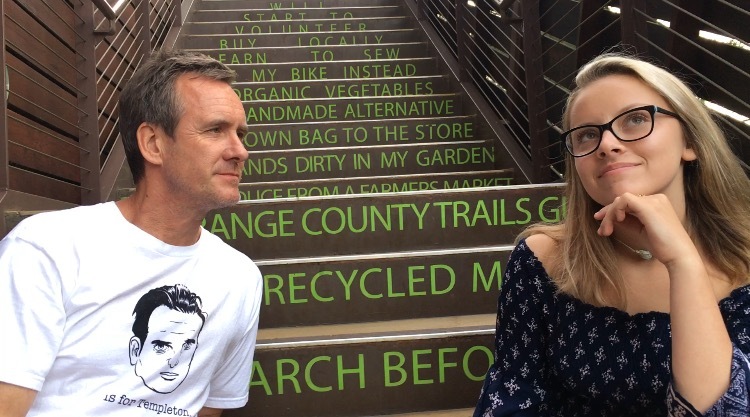 A smile, holding someone’s hand, encouraging others is always in style on & off the board. A skatingfashionista doesn’t wallow in sweat. She absolutely believes in having changes of clothes, perfume, and air conditioning. While helmets and pads are not stylish, it’s a personal choice to wear them and they do provide safety. A skating fashionista does not judge others for what they wear or do not wear. A skatingfashionista cheers for others and really is happy when they land their tricks. Whatever the board (or roller skates), skate style, or skill level there is room for all! We all have more fun when we encourage each other. A skatingfashionista has the confidence and determination to do anything on & off the board. The more I blog, the more I realize a skating fashionista is a lifestyle it’s the interests, opinions, behaviors that says #girlscanskate and do anything else. People can be sporty, stylish, smart, etc. all at the same time with or without a board. 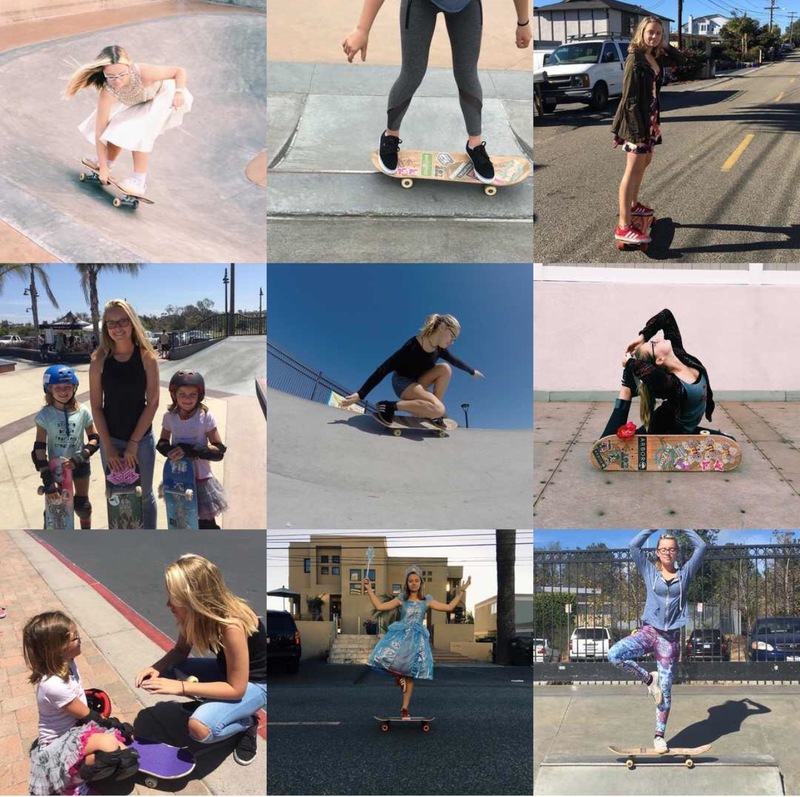 Below Best of 9 from 2016 Skatingfashionista IG – proud to be keeping it stylish on & off the board because more girls skateboard when they see a girl can have fun skateboarding & be as “girly” as she wants! Is this like a team?? Thanks for the share. My pappy used to say “Life is short. Live passionately”.